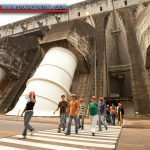 Tourist information about the Itaipu Binacional Dam, Paraguay and Brasil. 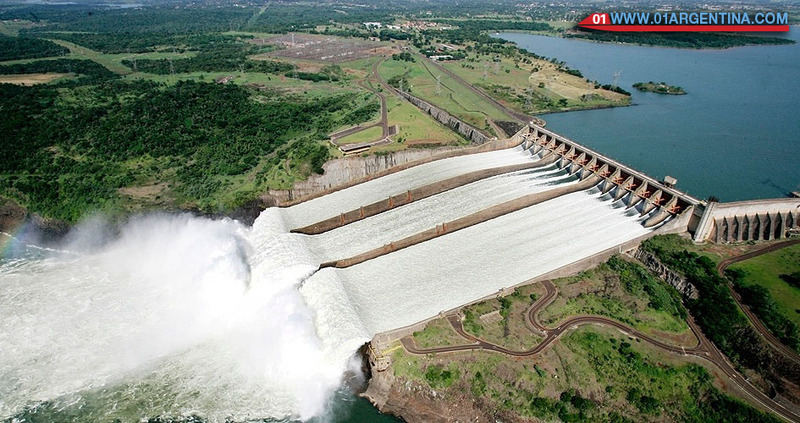 Itaipu is an admirable engineering work that can be visited on excursions or in a particular way. There are several options to discover the Itaipú Dam. 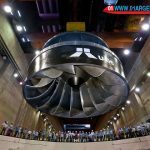 The largest Hydroelectric Dam in the world in energy production, and also the largest generator of renewable and clean energy. The Itaipu Binacional Dam has become a tourist icon in the Iguazu area, thanks to the technological development of two neighboring nations. However, this enormous structure is not simply a tool for the production of electricity; Thanks to the huge engineering work, has become a major tourist attraction on the Triple Border, both in Foz do Iguaçu (Brazil) and Ciudad del Este (Paraguay). Visiting the dam can be done from both countries. The visit to Brazil may be more comfortable but it has the cost of entrance and parking. However, in Paraguay at the moment it is free. The Tourist Tour allows a panoramic view of the plant, from the central viewpoint, from where the dam and the landfill can be seen. The visit is by bus from Itaipu (for private visitors) or by tour bus, for those who take part in excursions. Before the departure, a documentary about Itaipú is shown. The duration is approximately 1 hour and 30 minutes. It is available in both margins. In Brazil, the visitor also has the option of making the Combined Tourist Visit Ecomuseum Plant, which includes a passage through the Ecomuseum after the plant, on its own or then the Combined Tour Biological Plant-Refuge, which provides two kilometers of walking By an ecological trail of the Refuge Bela Vista. 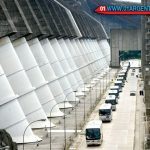 You can also make other types of visits more extensive and personalized Are you attracted to the idea of ​​walking through the imposing internal structure of the Dam? Well, they also have special visits. 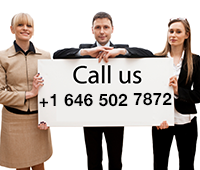 We recommend to communicate via e-mail with Itaipu, to consult about the prices of the rides and the date of the same. Even more so in the case of special visits, which are more complex journeys. The special visit, allows a tour of the interior of the dam. It has different attention, with bilingual monitors, use of special room for the exhibition of a film on Itaipu and special bus with water on board the tour for accompaniment. The duration is about 2 hours and 30 minutes. The route has seven stages (all of them allowed to be photographed and filmed). 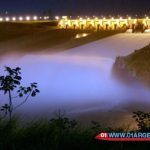 Today, Itaipu stands as the second largest in the world (behind the Three Gorges Dam, China), but still boasts the largest in America. And in 1995 she was selected as one of the Seven Wonders of the Modern World. Some interesting numbers and data. The construction directly involved 40,000 people, with the total volume of concrete used in the construction of Itaipu could be built 210 stadiums as the Rio de Janero Maracana, and the iron and steel construction used in the plant would be enough to build 380 times The Eiffel Tower in Paris. The absolute record of energy production was reached in 2000, when Itaipu Binacional generated 93.4 billion kilowatt-hours. In 2004, when 20 years of dam activity had been completed, the plant had already generated enough energy to supply the entire world for 36 days. 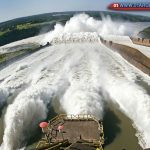 In such a colossal work some environmental impacts could not be avoided, because due to the great size of the dam during construction, the Santo Guaira, located 200km to the Paraná River, disappeared under the waters when large areas were flooded. In spite of this, the mentality of the company is green, because it shows the commitment that has with the society and the environment. The organization has created some rules for care and preservation, including the development of clean technologies, the creation of several ecological shelters and good support for education. The official name of the dam is “Itaipu-Binacional”. The two countries participated in the construction of the plant, therefore, both the energy produced and the number of operators would be divided equally between the two countries. At the moment of the 20 generators 10 are of Brazil and the remaining 10 belongs to Paraguay, being that only 1 generator is sufficient to guarantee the supply of 93% of the electrical energy consumed in Paraguay. The excess energy that is not used is sold to Brazil. In Brazil the 19 generators produce 27% of all the demand of the Brazilian market.